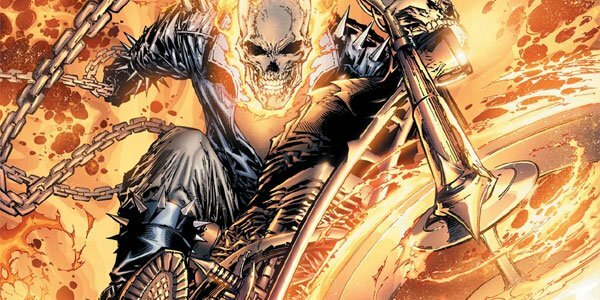 Ghost Rider, a character previously owned by Sony, got his own sequel with the widely loathed Ghost Rider: Spirit of Vengeance, a follow-up to the not-especially-beloved original Ghost Rider. While a few fans were clamoring for Ghost Rider 3 to happen, even star Nic Cage admitted that it probably wasn't going to happen. Now Ghost Rider 3 definitely won't. So with Ghost Rider 3 basically dead and a much more lucrative Spider-Man series to focus on, you can see why Sony was willing to let it go. The Blade series has been dormant for a while now, since 2004's Blade: Trinity, and the rights were owned by New Line, the subsidiary of Warner Bros. that's faced major financial woes recently. You can't blame them for letting it go either. Now we have to see how Marvel might revive either character, though take Feige's warning seriously-- their plans for Phase Two are already incredibly busy, and you probably have to wait until Ant-Man finally emerges for hard details on anything on Ghost Rider and Blade. But fans of the characters, rejoice! You're way more likely to see them again on screen now that they've back in the Marvel family.